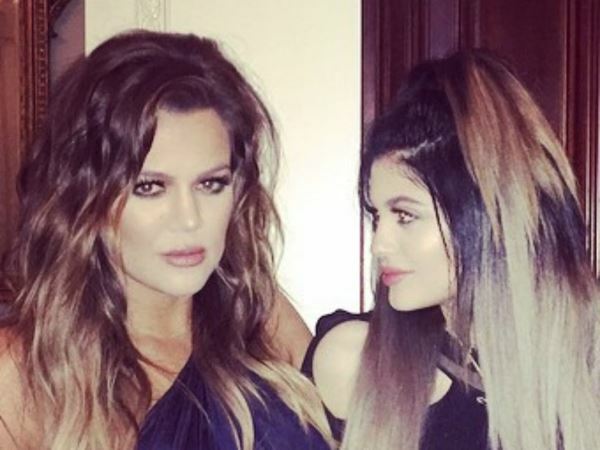 Khloé Kardashian doesn’t want sister Kylie to have a rapper boyfriend, it has been claimed. Khloé Kardashian doesn’t want sister Kylie to have a rapper boyfriend, it has been claimed. It was recently reported that 17-year-old Kylie had struck up more than just a friendship with rapper Tyga, 24. But Khloé is said to be unhappy about the alleged romance, mostly because Tyga is the father of a two-year-old son with his ex Blac Chyna. According to reports, Khloé is keen for Kylie to find a man who doesn’t have any excess baggage. Of course, Khloé is no stranger to having a partner who has a child. Her ex-husband Lamar Odom is a father of two with his ex-girlfriend, and her on-off boyfriend French Montana is also father to a son, Cruz. “Khloé can’t stand to see Kylie get burned by Tyga and has told her she needs to stay away from guys with babies, especially rappers, because their baby mommas are always going to be a thorn in her side,” a source told America’s OK! Magazine. Khloé has reportedly been working to boost Kylie’s inner confidence in a bid to make her understand that she can find a beau more suited to her. “Khloé is coaching Kylie on her self esteem, reading through their pretty words and she’s also trying to find her a new man who’s going to treat her right,” the source added. However, Khloé isn’t the only member of the Kardashian family to apparently disapprove of Kylie’s reported new man. Following claims that Kylie and Tyga took a trip to Europe recently, without the supervision of any other adults, it was reported that Kylie’s family members were incredibly angry about the impromptu vacation.